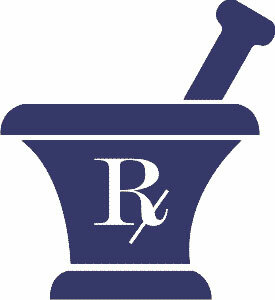 Quality prescription drugs right in the heart of San Carlos! The San Carlos Medical Clinic operates a pharmacy located right in the heart of San Carlos next door to the clinics' offices in Plaza Hacienda on Boulevard Manlio Fabio Beltrones -- directly across from the LEY Express supermarket. Our San Carlos pharmacy carries a wide range of prescription medications and other medical necessities. All of the prescription drugs sold at the pharmacy are either brand-name patented drugs or highest-quality generic equivalents that are personally reviewed and approved by Dr. Yakushevich. See below to learn more about Dr. Yakushevich's medical philosophy regarding generic prescription medications. • The San Carlos Pharmacy is open weekdays the same hours as the medical clinic. • The pharmacy delivers prescription medications and other medical necessities to locations within San Carlos and Guaymas for a small fee. • The pharmacy can rapidly obtain any medication it does not stock -- including Mexico Group I opiate-based controlled medications such as Morphine, Hydromorphone and Fentanyl, which are not stocked by any San Carlos pharmacy -- from sources in Guaymas, Hermosillo and Obregon and deliver it to patients in San Carlos / Guaymas. • The San Carlos Pharmacy, like the San Carlos Medical Clinic, accepts credit cards and PayPal. Many doctors in the United States and Canada are skeptical about the quality of generic prescription pharmaceuticals, and warn patients against filling their prescriptions with them, despite the potential substantial cost savings. All too often, when a patient questions an American or Canadian doctor about why not to fill the prescription with a generic, the answer is "because they're not as good" -- which really provides no new information and is simply a re-statement of the doctor's bias against generic drugs. In general terms, Dr. Yakushevich largely agrees that taking some brands of generic prescription pharmaceuticals is a highly inadvisable gamble but, unlike many doctors in the United States and Canada, Dr. Yakushevich takes the time to explain the differences between the three types of pharmaceuticals that can be sold in Mexico claiming to be the same drug. The original drug -- a specific molecule or group of molecules manufactured in a specific way which is disclosed in the patent -- manufactured by the patent holder, or under license by other drug companies that follow precisely the manufacturing and testing protocols that are disclosed in the patent. These prescription medications are the Gold Standard for any prescription drug and, not surprisingly, the most expensive. Drugs whose patents have expired that are being manufactured by various drug companies in exactly the manner disclosed in the original patent, and which contain only the same molecule or molecules as the original drug. These prescription medications can save patients considerable amounts of money and are, in fact, the same as the original patented drug. While there are usually a number of ways to chemically synthesize any given molecule, once a drug company deviates from the method disclosed in the original patent, the patient is entering The Gambling Zone. 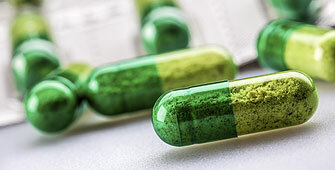 While manufacturers who use these manufacturing methods are loath to admit it, pharmaceuticals manufactured in a manner different than the method disclosed in the patent often contain molecules that are not identical to those of the original drug, even if they are similar. Unfortunately, many pharmacies in Mexico sell this third category of generic medications -- and not just the notable and highly popular Farmacia Similares (Similar...), but other pharmacies as well. never to use this third type of generic prescription drug. Obviously, the ordinary consumer has no way to tell one type of generic medication from another. To ensure that clinic patients have access to best-quality medications, Dr. Yakushevich and the San Carlos Medical Clinic have opened the Sanc Carlos Pharmacy. The pharmacy offers patients who would like to save money by purchasing generic prescription drugs only best-quality generics. Dr. Yakushevich is also happy to provide patients with a list of pharmacies in Guaymas that sell ONLY the best-quality generics that are manufactured to patent specifications.